In just a few months, Google’s ambitious project, Google Glass will be made freely available to consumers globally. Already, the promotional videos viewable on the Google Glass website have caused quite a stir within the interwebs. Google Glass is a futuristic device meant to be worn like a pair of sunglasses. The device is fitted with a tiny camera that is able to record visual data within the user’s field of vision. Google Glass incorporates a computing facility that uses the Android operating system. It allows users to store, access and analyze data using only voice commands. 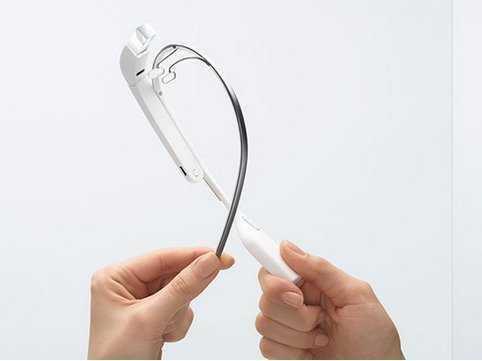 The Glass includes a head-mounted display through which the user can interact with the operating system. 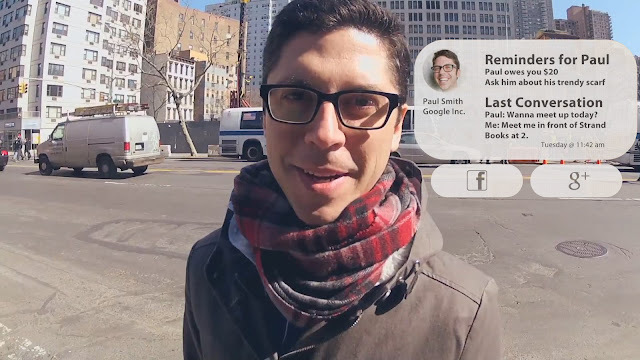 Does Google Glass have the potential to change the way we interact with reality? The ultimate objective of Google Glass is to take us closer towards the concept of ‘ubiquitous computing’. This concept is premised on the idea that the Internet can be made accessible to any user, at any point in time, regardless of location. Google Glass has state-of-the-art recording and computing technology that enables it to communicate with Google servers, providing users with quick and seamless access to the Internet. While Google Glass is still in the process of development, it ushers in a number of possibilities in both commercial and professional spheres. Consumers can use it to obtain data and knowledge about objects and people in their environments. They also have the capacity to record images and videos instantly, using hands-free technology. With regard to the professional community, Google Glass’ provision of an augmented reality can help companies and businesses save time and money in gathering important data about markets, products or economic trends. Health care professionals are particularly excited at the potential that Google Glass has in revolutionizing the delivery of health care. Let’s examine some of the possibilities that Google Glass opens up for connected health. Medical professionals, most notably doctors, often need large amounts of information and references before they can make well-informed, educated diagnoses of patients. Futurists theorize that at some point Google Glass may be able to integrate an artificial intelligence system that enables it to record and analyze visual and aural symptoms in patients. For example, if Google Glass can access electronic medical records of patients via the Internet, doctors will be able to analyze the information anywhere, as it does not require any physical record. More importantly, doctors could potentially have access to a live feed of patients’ vital signs like pulse and heart beat. Google Glass can keep up to date information on patients’ physiological conditions and even alert doctors when a patient exhibits abnormal readings. It can help make patient management more swift and efficient. Hospitals and clinics face a number of emergencies everyday, some more serious than others. Typically, doctors are quickly summoned by members of the hospital staff and then prepped for surgery. Once they enter the emergency room, they still need to be briefed by EMTs before they can begin a procedure on a patient. Google Glass has the potential to eliminate the lag time between the moment the doctor enters the emergency room and the moment at which he begins working on the patient. EMTs equipped with Google Glass may be able to record and transmit a live feed to doctors as soon as the emergency crops up. Google Glass enables visual and aural communication between medical staff, enabling doctors to advise EMTs, and EMTs to brief doctors before they even reach the emergency room. In essence, doctors could begin treatment on a patient before being physically present in the emergency room. Regardless of how qualified, experienced or talented a doctor is, when dealing with difficult procedures that require maximum focus and precision, there always remains a risk that a doctor may make a mistake. For example, spinal operations are generally considered risky procedures that may result in patient paralysis. There are a number of unanticipated factors that could crop up during surgery. While it is still premature, Google Glass could have the potential to act as virtual assistants during difficult and long medical procedures. Once Google Glass has access to medical data, Google Glass could aid doctors in analyzing and understanding a patient’s anatomy better before performing certain procedures. Google Glass can guide doctors in making decisions and could lower the probability of doctors making mistakes during complex procedures. Google Glass could even be used to train inexperienced doctors through surgery simulations. Doctors and physicians that treat a number of patients daily often need to refresh their memory by using medical charts and records. This is vital in order for physicians to make fully informed diagnoses and prescribe appropriate treatments and medication. Ill-informed medical professionals could severely risk the health and well-being of patients if they do not fully understand a patient’s physiological state and medical history before they prescribe treatments and medication. Google Glass can have vital applications for physicians. Physicians can record entire sessions with patients and store them in an archive. At any point in time, a physician can access these archives and view a patient’s session. Physicians will then have an unadulterated recording of a patient’s conditions and medical histories. Recordings stored in these archives can even be sent from one medical professional to another for second opinions and discussion. This saves time and money on the part of the patient, as well as enables doctors to make better decisions when making diagnoses. from a remote location, away from the patient. This is extremely beneficial to patients who might have trouble with mobility or have limited access to good professional help in their locality. Patients can also save money by reducing the number of hospital visits. Telemedicine is already being implemented in many underdeveloped countries where medical help and healthcare facilities are scarce. Google Glass can create an opportunity to speed up treatment and diagnoses. Doctors would not need required hardware like webcams or televisions to communicate with patients. Doctors can simply access live streams of patients in different parts of the world, communicate and analyze their symptoms before offering a diagnosis. Healthcare, in essence, would be made mobile. Diagnoses can often involve strict dietary patterns and restrictions. While medical professionals like nutritionists will be able to help choose what foods to buy, how to prepare food, how much to eat and when to eat, they may not always be available. If doctors set online physiological profiles of patients that are made accessible to Google Glass, these devices themselves could act as shopping aids during grocery shopping. They can suggest what groceries to buy to help maintain dietary requirements. Google Glass, as a technology, may be regarded as a watershed in media communications. Several opportunities will present themselves for pharmaceutical companies and doctors. Sales personnel will be able to use Google Glass to train their representatives. Physicians will be able to better educate themselves about new drugs and medicines that are out on the market. Pharmaceutical companies in general will need to come up with marketing strategies, in an attempt to create customizable content that caters to an individual’s personal experiences. Google Glass will undoubtedly signal a change where people generally think about interacting with their environments. Users will have seamless and easy access to all kinds of information and data, with just a few words. There is no argument that Google Glass will have the potential to enhance our lives, enabling us to use our time and minds more efficiently. However, there are several questions already being raised regarding privacy. In a digital age such as ours, where all user information can easily be stored on servers, packaged by entities like Google and then sold to advertisers, what would it mean for Google to have recordings of what all Google Glass users see? Experts have commented that the introduction of Google Glass into the consumer market foreshadows the death of privacy, and could lead to a monopolization of all data and information. Google Glass users themselves may have the ability to access information they wouldn’t otherwise have access to, with the help of facial recognition software and a connection to the Internet. Users may be tempted to ‘spy’ on each other using the functionalities of Google Glass. There are a number of potential HIPAA, legal and moral questions that crop up when dealing with a technology that has the power to transform our lives, like Google Glass. It is important for legal framework to be set in place that regulates the flow of information that Google Glass enables. Privacy policies will need to be revised and data encryption will become vital in order to safeguard both users and non-users to avoid potential security breaches. For connected health, the potential of Google Glass seems endless.